Contributor news: Valley Haggard’s new book, new ventures, excerpts, praise, info. Valley Haggard is one of her hometown’s best-loved heroines, both for her own writing and for the programs she’s founded to help others find their voices as new writers. Broad Street is proud to claim her as a contributor to our summer 2018 “Small Things, Partial Cures” issue, available now on iBooks and soon in hard copies. 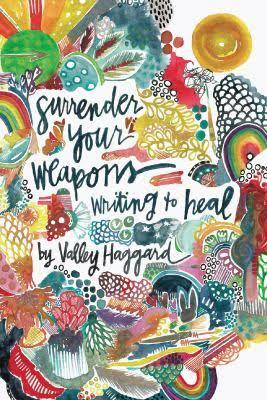 July 26, 2018, saw the launch of Valley’s second book, Surrender Your Weapons, a collection of her memoirs about trauma and healing, commingled with tips and reflections for new writers. Of all the lessons I’ve needed to learn as a writer and a human being, “Surrender Your Weapons” resurfaces most. Weapons take many forms and manifestations, many of which we wield against ourselves. Judgment, comparison, impossible expectations, perfectionism, doubt, insecurity, destructive behavior, self-sabotage. 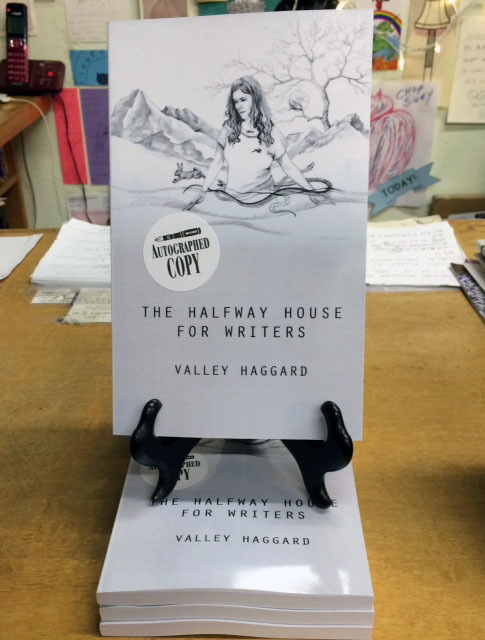 Surrender Your Weapons began as the first rule of The Halfway House for Writers [Valley’s first book, a how-to for emerging authors] and grew until it became a book all its own. When we surrender our weapons, our true writing and our true selves begin to emerge in our lives and on the page in a way that is brave, beautiful, and true. Surrender Your Weapons is a marriage of selections from my own memoir and a guide for writing, exploring themes and threads that have emerged classes, workshops, and retreats. It is a guide for writing your story while showing you how I wrote mine. I hope that you, like me, find healing along the way. After my mother saw me swinging a chain on the playground to protect myself from the kids who threatened to beat me upside the head, she moved me to another elementary school across town. I carried a bear-handled knife traveling with my girlfriend across Eastern Europe alone. I’ve scratched, bitten, and hit when I thought I had to. But my best defense has always been my tongue. Sharp, cutting, and deadly words that know where to strike. For several years I was involved in an online sado-masochistic affair. Words were the currency of our weapons and whips. The only way I could begin to repair the psychic damage done was to step out of the ring altogether. I could no longer win or lose. I had to surrender. I quit drinking, doing drugs, and smoking. Addiction was a war I couldn’t win. I had to surrender. I’ve berated myself as a writer, letting the inner critic dictate subject, pace, tempo, line, and language. The inner critic who said I’d never be a real writer, never be good enough, would never measure up. That was a war I couldn’t win. I had to surrender. When we come to the page it is best we lay down the weapons we hold against ourselves. Shame, secrecy, perfectionism, the violence of self-loathing. Each of these will kill our creativity, damage our self-worth, violate the truth of who we are. Maybe not all at once, but eventually. Slow death by a thousand cuts. We each have our own power, beauty, strength, and vulnerability to own. We can arrive on the page of our stories without apology, without allowing anyone, including ourselves, to hold us down. When we surrender to the page, to the process, to the great world of the heart and the spirit that writing inhabits, this is when our writing is able to begin. We don’t have to fight what comes. We just have to let it. 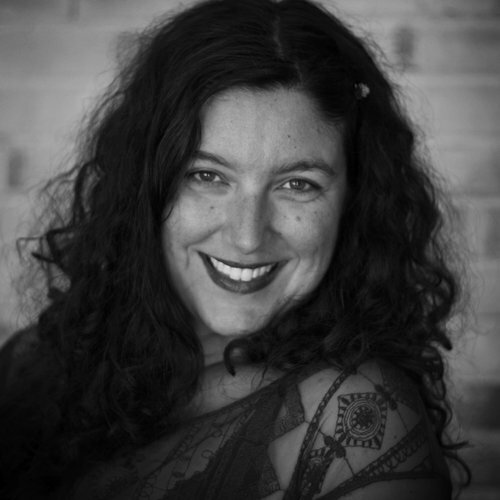 As a passionate advocate for the power of storytelling to heal (partially or wholly), Valley has created two workshop programs to help other writers. 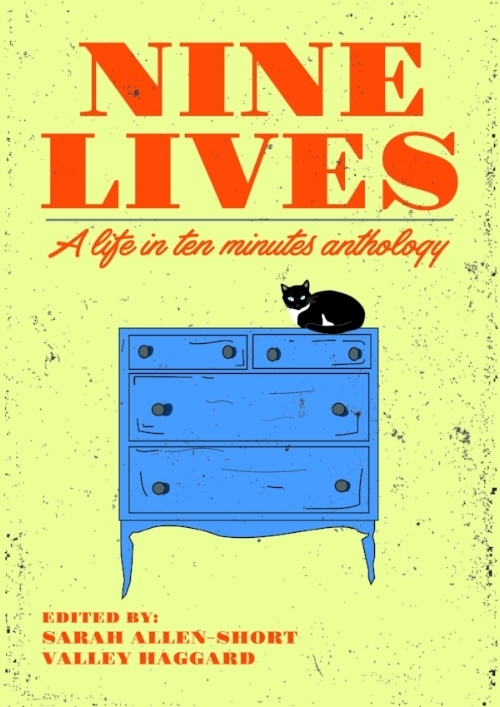 Life in 10 Minutes, a brief-memoir program and online literary magazine, has yielded one multi-author print anthology and many fans … and is soon to publish a second volume. She also founded Richmond Young Writers, with workshops for all pre-college ages, offering courses and “camps” in character and world building, plotting, and other aspects of getting words on the page. Along with her own book, Valley has embarked on another adventure: Life in 10 Minutes Press–a.k.a. L10 Press–a new publisher of memoirs and creative nonfiction. Read about the next anthology in this article from Richmond’s Style magazine, 24 July 2018. 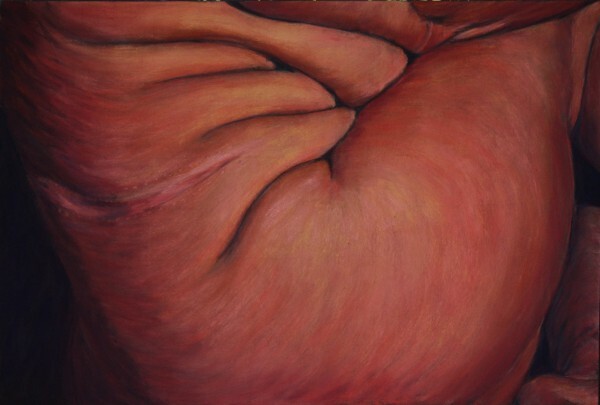 Valley’s contribution to Broad Street’s “Small Things, Partial Cures” was “The Body, in Parts,” a memoir that responds to her mother’s observation that “Your body is not a thank-you note.” It’s accompanied by portraits of Valley and her body by Susan Singer and Mary Chiaramonte. Your body is not a thank-you note, my mother wrote to me in a card when I was in Alaska, half in love with the captain of the fleet, half in love with the deaf deckhand teaching me American Sign. Half dead, half drunk, half sober, half crazy…. Oh, but it was. It had been. It has also been my passport, my license, my excuse, and getaway car before it became a grave, a temple, a tombstone. My body has been a deadweight lump of unformed clay that I’ve kneaded and rolled and tried to shape, full of hidden treasure I’ve been desperate to find and spend. I’ve thrown it at strangers, hidden it from my husband, given it like a shield of flesh, an orchard of sustenance, a playground to my son. Image: “Valley’s Folds,” by Susan Singer, shows history written on the author’s body. Find out more about Valley and her approach to telling the truth–and get a few boosts for your own memoirs–in her Spotlight Interview here. Previous postFrom Our Pages: "Chastity Belt Included," a memoir by Ramsey Hootman. Next postContributor News: Caitlin Hamilton Summie Takes Silver in the Indie Awards.